Kate Lauzon is not afraid to talk trash. In fact, after Kate stood up twice during a city council meeting last fall in Pittsfield, Mass., to call out the city’s lagging recycling efforts, she was appointed to a special facilities’ commission and encouraged to educate the public about recycling. “The mayor listened to me,” Kate says, not something the young mom who moved to the city for an addiction-recovery program could have imagined would have ever been the case just a few years ago. But the budding community activist has taken her cue from recent initiatives in the city to involve residents in community-building and plans for neighborhood improvements. 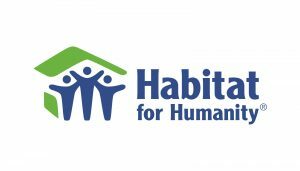 And she has volunteered with Central Berkshire Habitat for Humanity, which has been taking the pulse of residents through a feedback program supported by Fund for Shared Insight. One of the concerns expressed by residents time and again through the surveys is the area’s lack of a robust public bus system. Kate says she is fortunate enough to have a car, but she is proud of her fellow residents who have taken up the cause to advocate for expanded bus service. They have rallied to raise awareness about the problem, attended city and county government meetings to make their case, and used survey data to demonstrate the negative impact — such as on job opportunities when employers are not located near bus routes — of limited public transportation. Residents hope they are making inroads on the issue, but, in the meantime, have taken some of the matter into their own hands. Last year, a group of residents launched a rideshare cooperative, providing Uber-like services on an income-based sliding scale, for people traveling to or from their jobs or medical appointments. Kate says it is that kind of initiative changing the community for the better. “So many of us feel empowered like never before,” she says.